The original Cleito went under for some surgery and came out as the Cleito 120! There are several differences between the two some being a taller chimney, a wider drip tip, and larger airflow holes. All these small changes add up in a big way for the user to have a super sub ohm tank with fantastic airflow and deep vapor! Included in these changes are enlarged wicking holes. These larger holes allow the wicking to get a constant flow of liquid which keeps things wet with no dry burns. It also means that the airflow is improved as well. So the Vaper can vape without any hitches! So where did the Cleito’s name get the 120 from? Well it is rated at 120 Watts, but it can easily handle an additional 40 watts or more. Plus the Cleito was specifically designed to create an instant vapor production. Which means that even with a simple two second inhale, the user will open their mouth and release fluffy and cloud like vapor instantaneously. For Vapers who prefer a 40-50 Watt vape they should stay with the original Cleito. However if you enjoy cloud chasing with 100 Watts +, than the Cleito 120 is your dream machine! **We recommend the use of 6mg e-Liquid or lower with this atomizer. Sub-ohm atomizers produce higher throat hit than low and standard resistance atomizers. Using this atomizer with a nicotine level above 6mg will usually taste burnt or harsh. 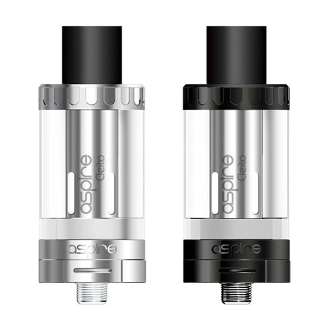 Please note: The Cleito 120 Tank is not compatible with the regular Cleito coils.